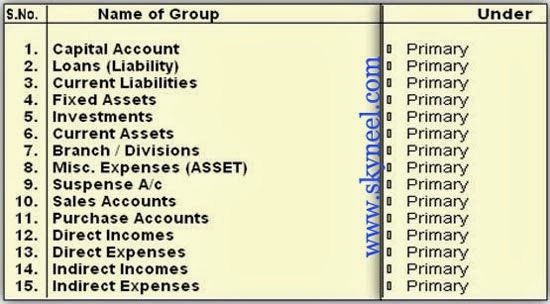 During working on the “Tally” software it is very important that first you have to create different “Accounting Groups” in your active company as per your company requirement. 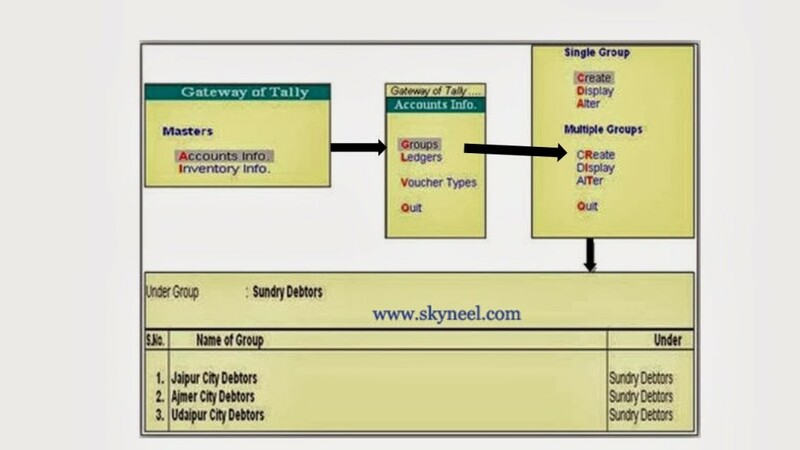 Tally Groups Creation are very important part of the accounts head from which you can store more than one collection of different ledger accounts of the same nature. 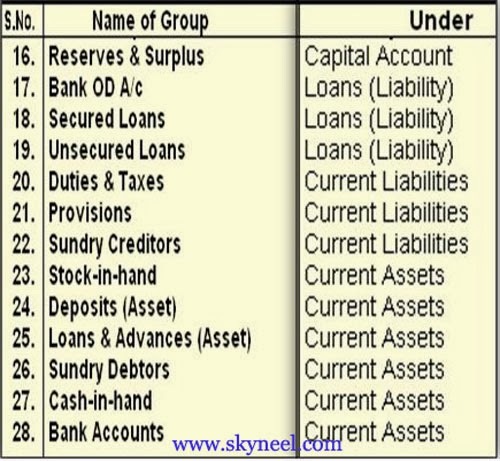 These groups are very helpful to preparing meaningful reports like Bank status, Outstanding balance of Debtors & Creditors, Cash book, Expenses report and Final Accounts (Trading account, Profit and Loss account and Balance Sheet). So, in this article we know how to create any single and multiple groups in the Tally software. If you require creating groups as per your company requirement in that case you have to use these following steps. By default there are 28 pre-defined groups that means already created groups in the Tally software. If you want to create any required groups in Tally software then you have to use given way. If you want to create any single or multiple group in the active company then click on the GOT (Gateway of Tally) -> Select “Accounts info” option -> Click on the “Groups” option -> Click on the “Create” option. 1. Create: To create a new group in the active company in Tally software. 2. Display: To view any existing group information only. You don’t have permit to change or delete any group information from the option. 3. Alter: To change any existing group information or you can also delete any existing group which is created by the user by pressing the Alt+D shortcut key. 1. Create: To create one or more groups in active company in Tally software. 2. Display: To view any existing group or sub group information only. 3. Alter: To change any existing group information but can’t delete any created or predefined groups from multi group option in Tally. I hope you like this post. Give your important suggestion in the comment box and also share this article with your friends to show your knowledge in tally. Thanks.